The Exchange Club of Austin helps support many organizations in Austin and the surrounding communities through its Program of Service. The various programs can only be successful through the hard work of volunteers and generous donations by members of our community. The Club is always accepting new members. If you want to join Exchange click here! As a member of the Exchange Club of Austin you will be working to make your community a better place to live! and were so proud when they won a trophy. Fun day for everyone!! and enjoys presentations from speakers throughout our community. Click here to read more about the weekly speakers, evening socials and other club events. To make a reservation send an e-mail to RSVP@AustinExchange.org and put Luncheon in the subject line. Lunch is $17 per person. Pictures to the left are of long-time Exchange Club Judge, Wing Evans, beginning the 50 Yard Dash. 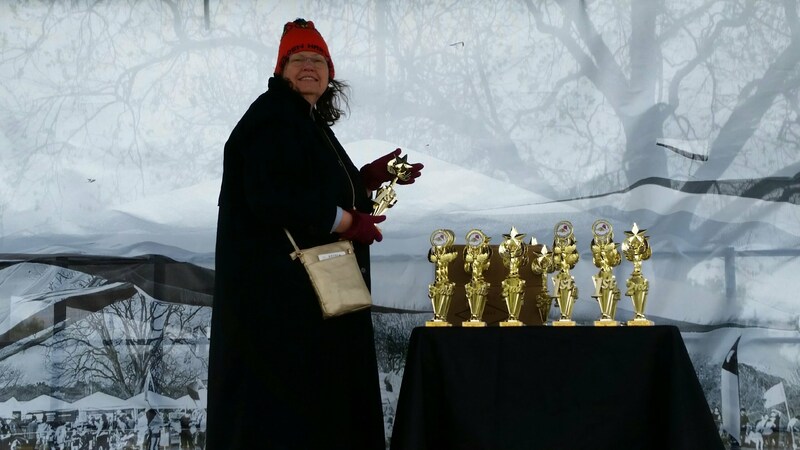 Exchange Club Co-Chair Kite Festival, readies the Kite Contest Trophies. 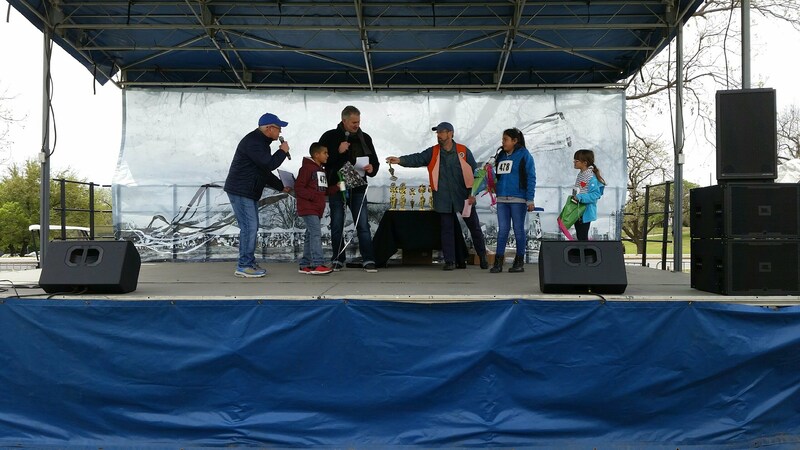 Local KXAN Weather Director, Jim Spencer and Exchange Club Co-Chair Kite Festival, Dorsey Twidwell, present the first trophies of the day. 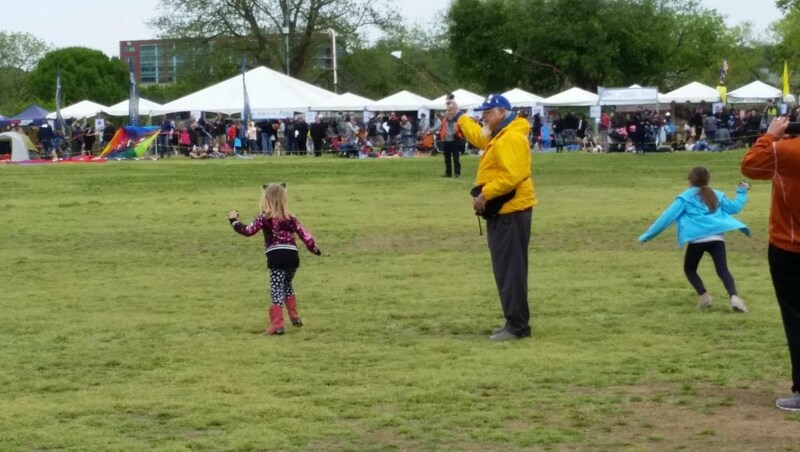 Little Girl admiring the kites for sale by the Exchange Club of Austin.